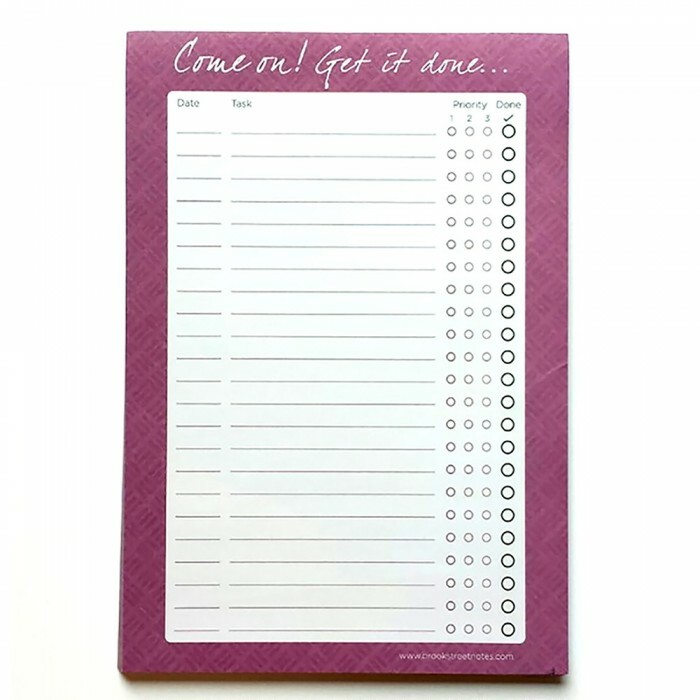 Achieve more each day with our "Come on! 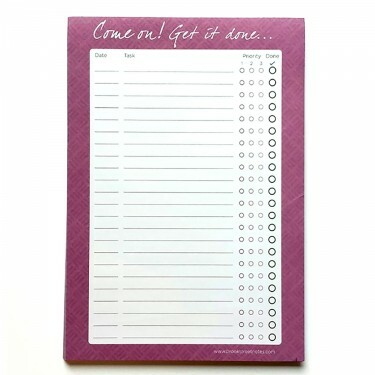 Get it done...." notepad. 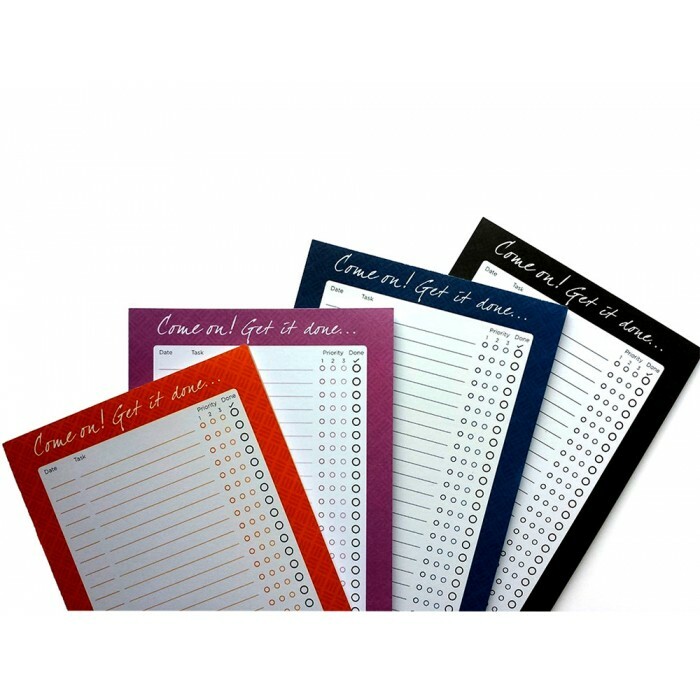 List your daily tasks and tick them off once accomplished. 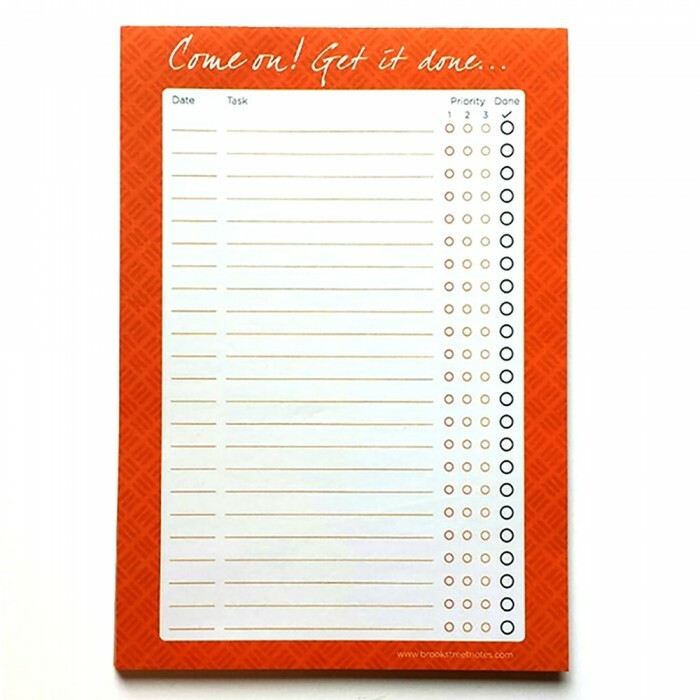 Prioritise the urgency of each task with our 1-2-3 grading system. 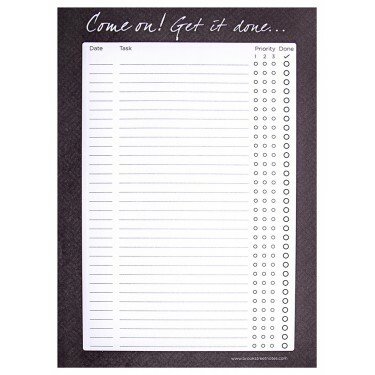 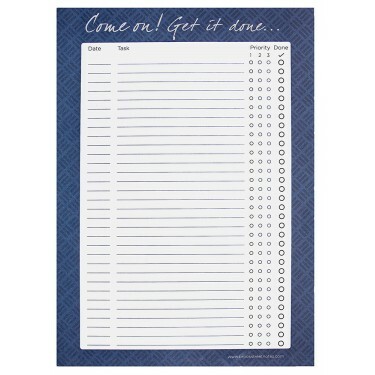 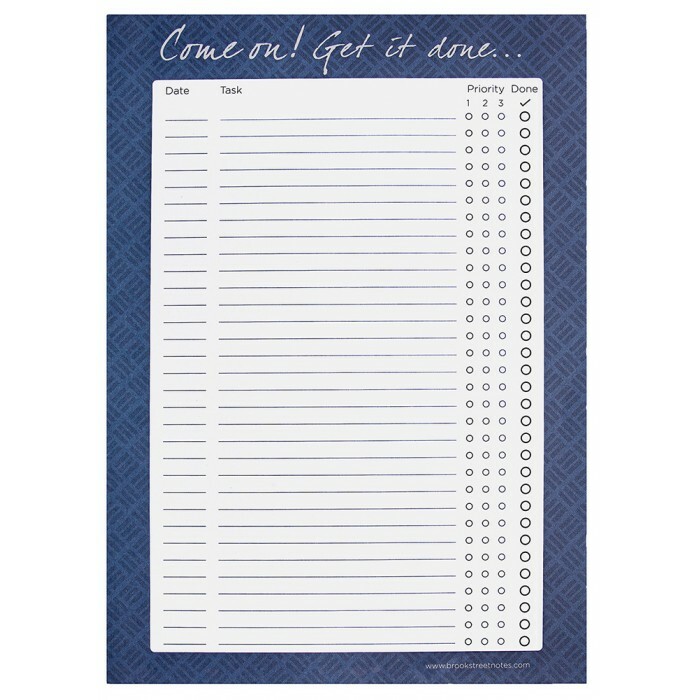 The pre-printed to do list is available in two sizes (A4 & A5) and four colour options (orange, pink, blue & black). Contains 52 tear off sheets with white, board backing.